I Love RVing Because it Creates Strong Family Ties.. 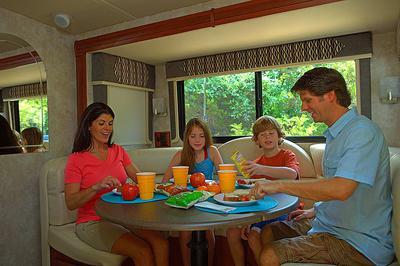 I love Rving because my wife and 3 kids and I enjoy spending quality time together away from all the home distractions. Being in close contact with nature but with the comfort of our house we feel like we get the best of both worlds. We try to get away almost every weekend and come back home refreshed to start the new week at work. many people waste their time in front of TVs at home...there is so much more to enjoy about life,...if you can, try RVing and may get you hooked forever!